A reissue of The Rulers of Venice, 1332-1524: Interpretations, Methods, Database, edited by Monique O’Connell, is now available in the HEB collection with an updated preface. The new preface contains a users’ guide to the revised version of the online database (edited by Benjamin G. Kohl, Andrea Mozzato and O'Connell) that accompanies this edition. 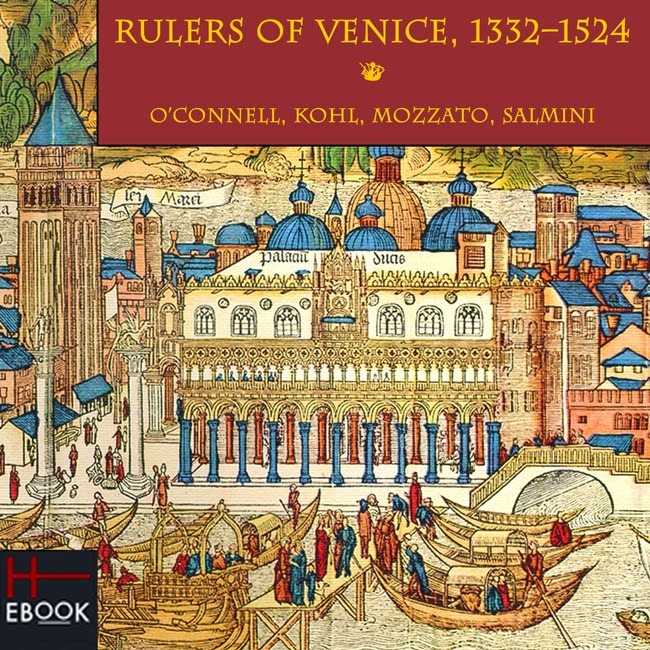 Rulers of Venice was originally published in 2009 by ACLS Humanities E-Book in collaboration with the Renaissance Society of America, and represents one of HEB’s interactive XML editions. The monograph component consists of four case studies about the ruling class of Venice in the 14th and 15th centuries. The essays were intended to provide background information and complement an online database that has at its core the nine registers of the Segretario alle Voci, listing the noble Venetians elected to office from 1340 to 1524. This includes transcriptions of a total of 70,000 records with as complete information as possible for each officeholder, derived from 1500 frames of digitized microfilm (which are also available to users for closer examination). The database underwent substantial technical upgrades starting in 2012, and now offers enhanced search capabilities to improve users’ experience while still drawing on the same data. Who held office in late medieval Venice? The Rulers of Venice project as a whole attempts to answer this seemingly simple question. While there is extensive documentation relating to Venetian elections between 1324 and 1524, determining whether a particular individual held office in Venice or not often turns out to be bafflingly complex. The database represents an invaluable tool for students of Venetian history, allowing researchers to gain a much deeper understanding of the way the Republic’s politics intersected with family strategies and individual careers. This book and the accompanying database are freely available on an open-access basis.